Ha! Mac just sent me this photo he took yesterday in the parking lot of the UTC mall. 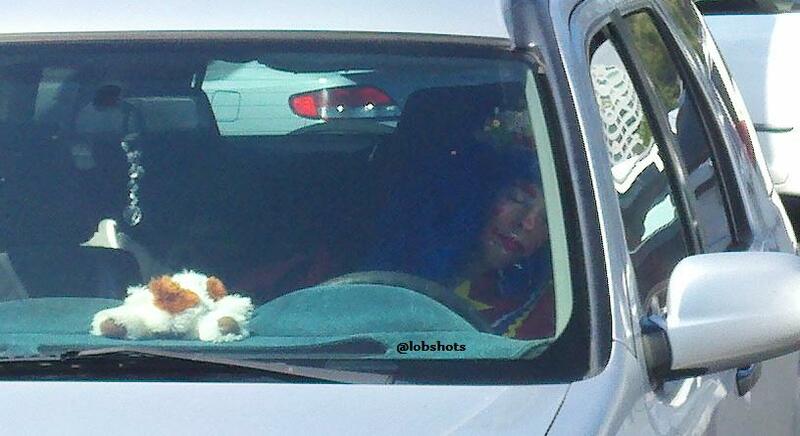 No big whoop, just a decked out clown taking a nap in the car. Pretty normal. This entry was posted in News and tagged clown, clown car, sleeping clown. Bookmark the permalink.